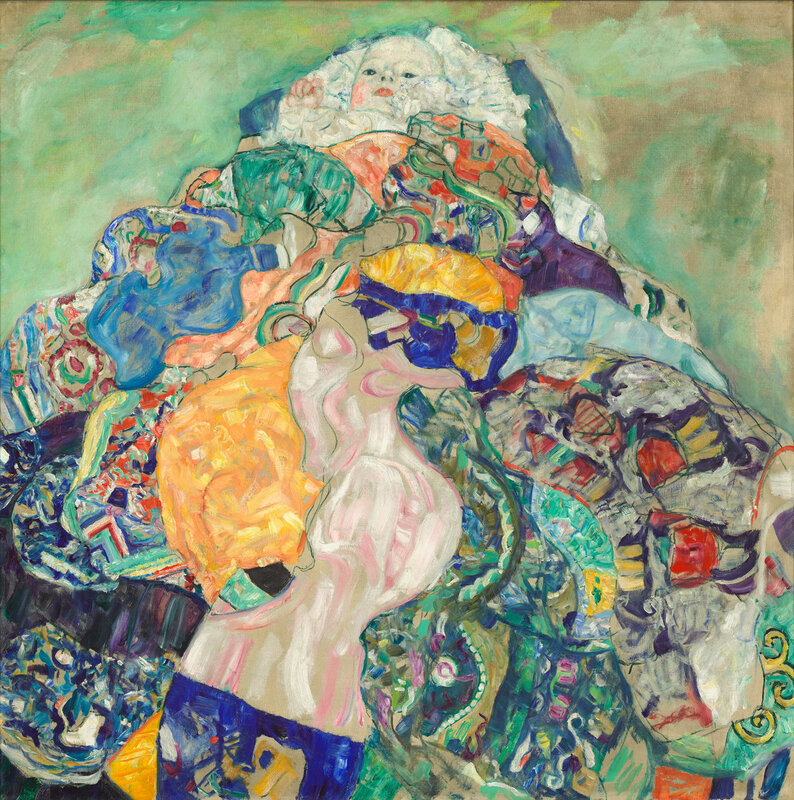 Klimt’s Baby (Cradle) looks like a portrait of someone trying to get rid of their baby via laundry chute and reasoning that the more colorful the blankets, the less the baby would stick out as something not machine washable. This is probably not the case. What is more likely is that this is one of Klimt’s own children because he had approximately 14 +/- of them with various ladies/models/muses. Apparently part of Klimt’s artistic routine was impregnating models after painting them. But to each their own I guess. For this reason though it was rare that he would ever paint children. What’s the point of painting someone you can’t sleep with, right? They just really weren’t his thing despite his serial fatherhood. To our knowledge no baby was lost in the creation of this painting. It did however serve as the basis for all of the laundry basket photography that is so popular amongst young moms and fabric softener brands these days. We don’t know what is so cute about babies in a pile of clean towels, but goddamn it of we don’t giggle every time we see it. "Baby (Cradle)." Nga.gov. Web. 18 July 2017.